We supply Riggers, Boat ties, Roof racks, Deck fittings, Foot stretcher fittings, Rigger fittings, Rudders, Fins, Trestles, Racks and much more. We will have a go at anything that we can manufacture or fabricate for you. We welcome all new ideas from a personal project to supplying boat manufacturers, we will be happy to help. The management team based here in Studland consits of Kevin, Lee and Sharon. With our combined experience in all aspects of the rowing world and metal fabrication, we hope we can become a necessary part of your rowing needs. Serving big names such as Janousek Stampfli, Liteboat of France and Row Generation of Sweden you can be sure of a high standard product. We will endeavour to provide you with everything you need to maintain your equipment, give rigging and coaching advice, or just a friendly chat about the progress of your club! 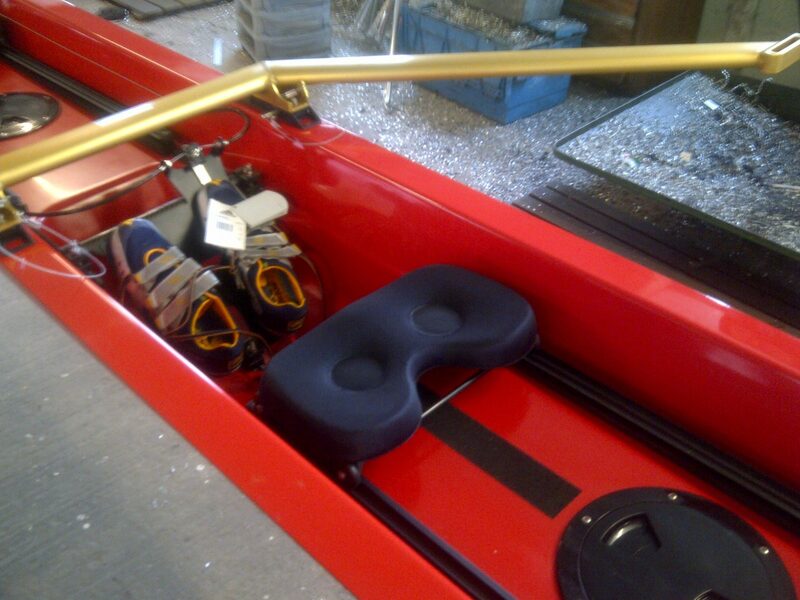 Neaves has been supplying and manufacturing aluminium rowing riggers and fittings to the rowing world since 1980. The company founder David Neaves instigated the design of many of todays rowing fittings and riggers, his work with Carbocraft and Aylings was widley recognised as ground breaking for the sport. David moved to Swanage in 2002 from Staines where he finally retired in 2007 to explore his passion for art and photography. Kevin and Sharon Ayles took over from David in 2007, Kevin has been in the sport for 50 years and combining this with his engineering background and Sharon’s financial expertise they have designed many new products and continued David’s legacy in the rowing world. In 2011 Lee Smith Joined the team in charge of production, bringing with him expertise in welding and fabrication. Since this time the business has moved forward, supporting a full apprentice programme for both Welding / Fabrication and Machine / Engineering. The fully equipped welding bays and machine shop (including CNC machines) enables all of our parts to be fully fabricated in house. The “Neaves” team strive to innovate in both quality and design and continue to explore new ideas and improvements.